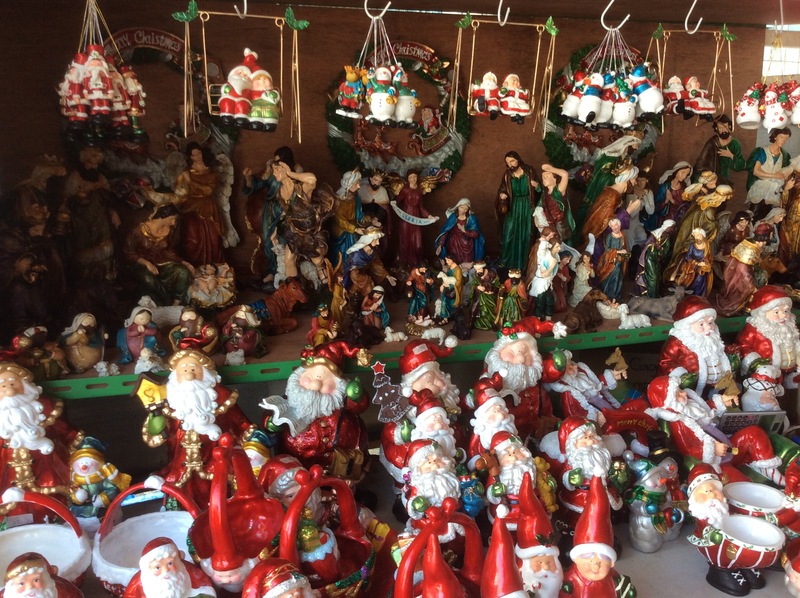 Christmas decorations start getting put up around September in the Philippines. For my family the excitement starts to build up after the feast day of St. Michael ( the patron saint of our city) on September 29th, and All Souls’ Day on November 2nd. And Christmas doesn’t end until after January 6th, the Feast of the Three Kings. Since living in China, I have not been really excited about Christmas. When I first came here, there were hardly any Christmas decorations. Now, they are everywhere and young people “celebrate” almost every Western festival, including Thanksgiving. But it’s not the same. It does not feel the same. Even at church, they see the whole thing as a performance , like a curious opera. It only makes me sad. This year Christmas will feel even stranger, especially for my sisters and nephew who will feel my mother’s absence more than I will or do. My husband and I will miss our son who will be celebrating Christmas in the Philippines for the first time, though I am excited for him. It’s not Christmas without knowing the story of Jesus (hence the crèche in the photo) and that Santa is NOT Jesus. This entry was posted in photography, Places, Thoughts and tagged Catholic tradition, Christianity, christmas, church, family, holidays, Santa, weekly photo challenge. Bookmark the permalink. Nice article and photo ! Pingback: It’s Not This Time of Year Without: Lists | What's (in) the picture?